The Favela Brass Project: Thank you Denize Rodrigues! 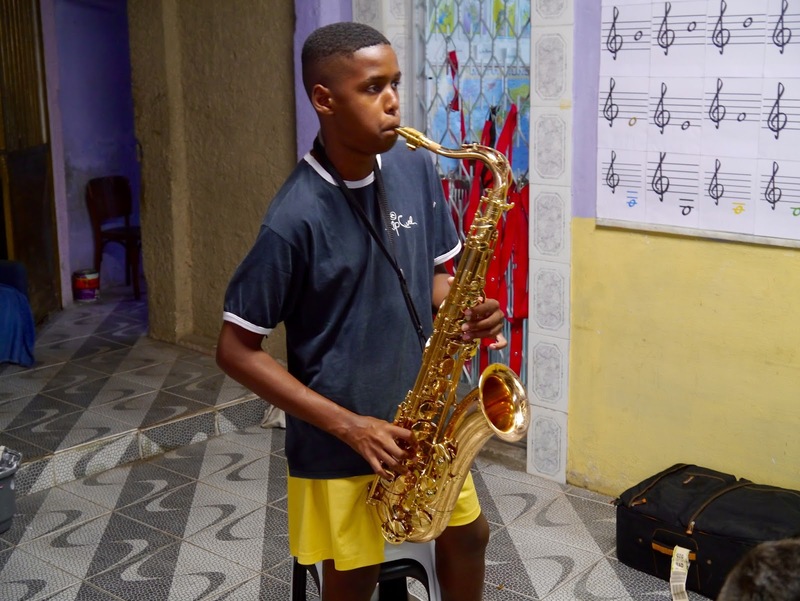 One of the main reasons for the Favela Brass project is the high price of instruments in Brazil. 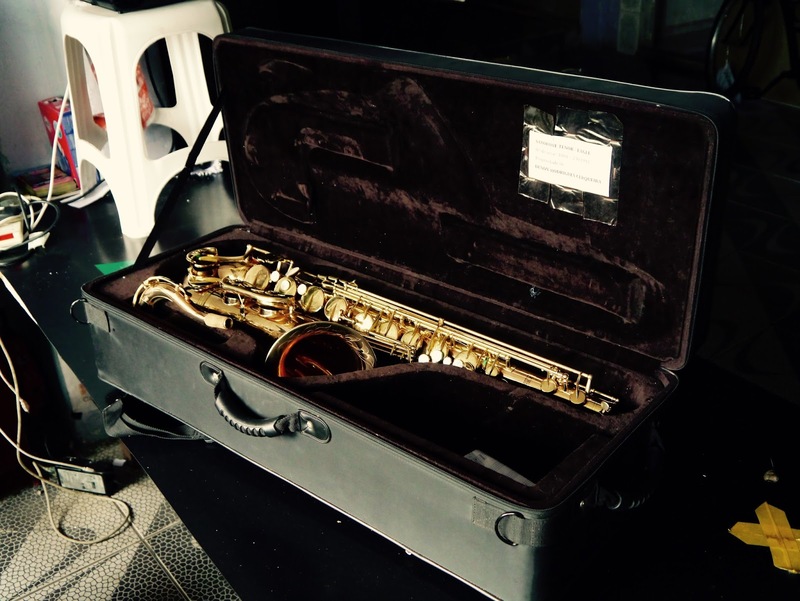 All of our wind instruments are from abroad. Except one: after giving her first lesson for our students, Brazilian saxophonist Denize Rodrigues donated a mint condition tenor sax to the project. As well as being an extremely generous act given the price of saxes in Brazil, it's really helpful for us - we were with two sax students (Vinícius and André) but only one sax. Now both can study at home and we have avoided a very tricky situation at our next show! Thank you ever so much Denize.